Never Forget. These words are the mantra of many of those whose lives were affected by the terrorist attacks on September 11, 2001. It’s been 11 years and still the memories of that gruesome day are ever present in the minds and hearts of Americans. In a world where people die every day, what made that one day, a day to never forget? 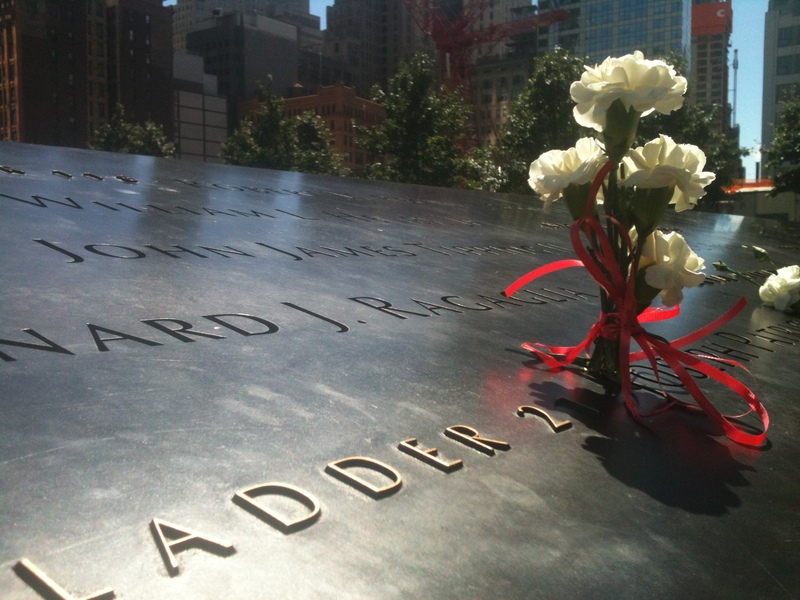 I went to the 9/11 memorial to find out. To Paul Legname and Rebecca Lingenfelter, United Airlines employees, they will never forget that day because they lost a co-worker and friend, Sandra Bradshaw. Having just gotten back from maternity leave, Sandra Bradshaw was a flight attendant on Flight 93, the hijacked plane that crashed in Shanksville, Pennsylvania. “Eleven years later and I break down like it was yesterday” Legname said as we stood in the middle of the memorial. Airlines are one big family. Lose a member it’s like losing your family,” Ligenfelter said. Eighteen year old Emily Davidson might not have lost anyone the day the towers crumbled but to her it was still traumatic. Emily was born with a rare deadly brain cancer that left most doctors clueless and unwilling to operate on someone of her condition. Her family found a doctor in New York City who agreed to provide the dangerous numerous surgeries. As a result, a vast majority of her childhood was spent in the city for doctor visits. “[The attacks] made me wary about everything. Flights even make me nervous. Imprinted into my memory is that planes crash into buildings. We aren’t in a safe bubble like we are meant to believe” Davidson said. New York native and Hofstra freshman Nicholas Hintz, said 9/11 was the, “First time I’ve ever seen my dad cry.”A year before the attacks, his father had taken him to the top of the building, and shown him where he had proposed to his mother many years before. The Twin Towers were not just an addition to the New York Skyline; it was a second home for over 10,000 employees. The deaths were not just a list of 2,983 causalities; it was the lives of relatives, neighbors, and fellow citizens. “Never Forget” is not just an empty nationalistic phrase; it has a special meaning in each heart. To the wife who lost her husband, to the child who grew up cynical of every foreigner, to the guy who lost a piece of his hometown; everyone lost a part of themselves that sunny September day. The truth remains that we will always remember because we can never forget.